In a society becoming increasingly obsessed with text messages, DMs, and emojis, it turns out that authentic, real-time human interaction through phone calls is still the preferred way to deliver optimal customer service. 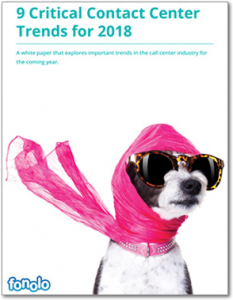 Here are some key reasons why it’s critical to maintain an effective real-time call center strategy to ensure lasting customer satisfaction, retention, loyalty. If that’s how consumer subjects respond to a computerized avatar, interacting with a live customer service representative in a real-time phone call will have astoundingly more positive implications. Having to request help or assistance from customer service shouldn’t be a dreaded chore for any valued customer. Companies should strive to serve their customers quickly and seamlessly. In doing so, customers will begin to associate your brand and products with positive feelings, because you made them feel good, and helped solve their problem. According to one study, when tested in a lab setting, 53% of subjects who anticipated receiving good customer service exhibited the same cerebral reactions to feeling loved! By offering customer service through a phone call with an actual person, in real time, you’re offering consumers a faster, more efficient method of service. And, by including a call-back option within your call center strategy, you’re saving the customer even more time and energy. Additionally, since consumers are emotionally drawn to human voice over electronic messages, these positive associations will lead to improved customer retention and loyalty, which leads to repeat sales. Whether it’s an e-commerce website, or a brick and mortar operation, there’s no substitute for a strong telephone customer service offering. Regardless of the type of business or retailer, garnering positive associations between your brand and customer perception can yield high returns. One e-commerce study found that positive emotional responses while shopping helped predict consumer purchases. According to Freud’s pleasure principle, humans are driven by two things: increasing pleasure, and reducing or avoiding pain. 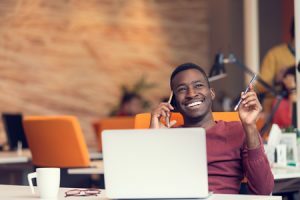 By offering a robust call center, with real customer service representatives on the phone, you’re increasing the positive emotional impact on customers. Additionally, by offering them a call-back option, you’re helping customers avoid the pain of wasted time, and the unpleasant feeling of waiting. The longer customers wait, the more displeasure they feel, which they’d ultimately associate with your company. Customers are nearly 5 times more loyal when they feel valued than when they feel annoyed. In fact, positive feelings have been more closely correlated with customer loyalty, and better predictors of customer retention than ease of product use or experience. It’s widely known that customers purchase more from emotion than logic. That’s why positive interactions with real humans through a customer service call is still the most effective way to serve your customers, earn their trust, and gain their loyalty. I can't agree with you. From my personal experience customers prefer messengers and email. We've recently conducted survey about preferable channels of communication and phone calls was on last place. We appreciate your feedback. Sometimes channels perform differently depending on the business. At least you found what works for you!